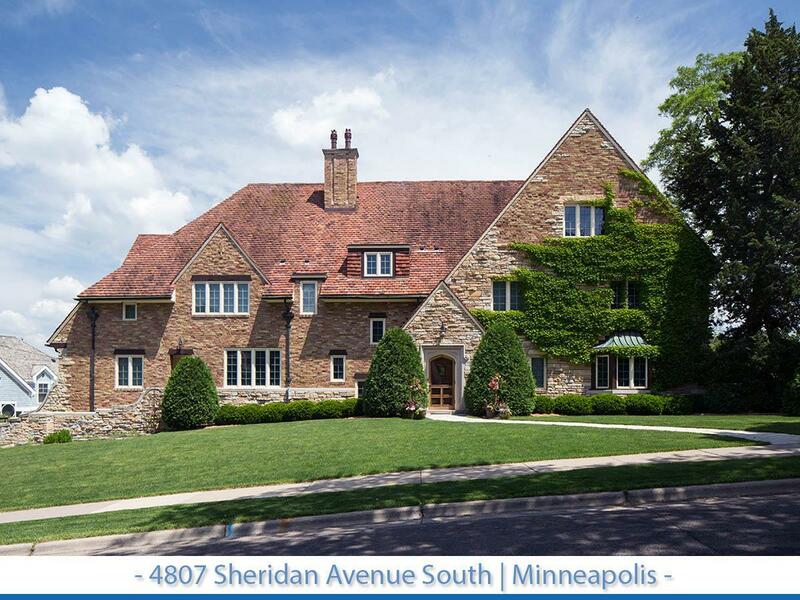 One of the finest homes for sale in Minneapolis, this outstanding landmark residence is in exceptional condition having been lovingly restored and superbly upgraded. Open sunlit living spaces are traditional with vintage elements--all exquisitely detailed. Main level highlights include the grand foyer with flanking formal spaces. The living room offers French doors opening to the upper level terrace with a wood burning fireplace. While the paneled library is a quiet retreat, the formal dining room is well equipped for gatherings large or small. Hub of the home is its center island kitchen (with adjacent family room and home office) featuring banquette informal dining area, wet bar, wood burning pizza oven, and French doors opening to the upper level terrace.